Rheumatoid Arthritis is an autoimmune disorder that causes a systemic damage but is most visible on joints. RA is a chronic disease that needs to be managed through a combination of approaches, involving pain-killers, DMARDs, lifestyle changes and use of supplements that can help control the inflammation. In cases when the disease has caused extensive damage to the joints, more aggressive approaches may become necessary such as joint replacement surgery or fusion surgery. 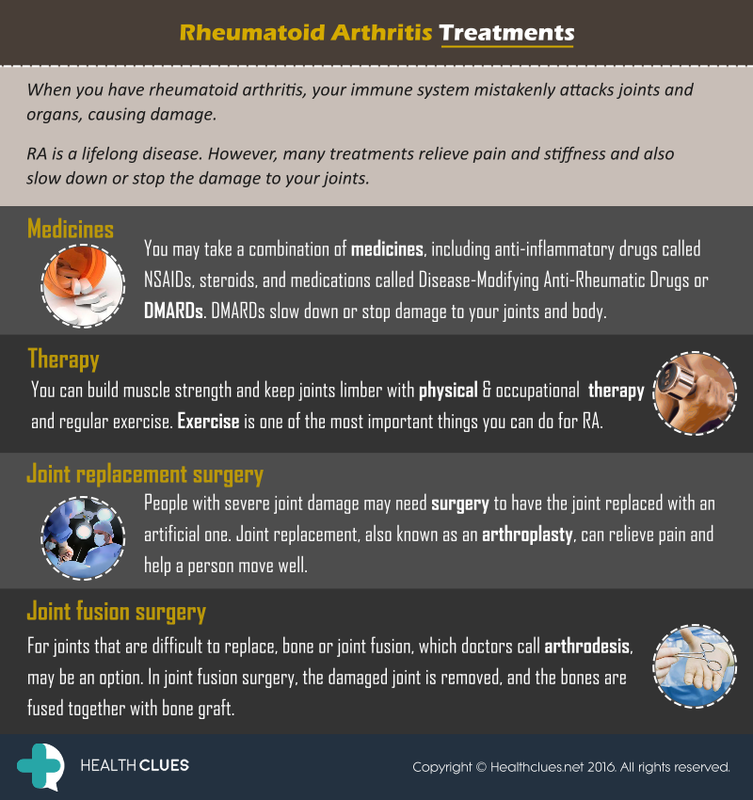 Infographics, Rheumatoid Arthritis autoimmune disorder, chronic knee pain, Chronic Pain, joint pains, RA, rheumatoid arthritis, Rheumatoid Arthritis Treatments. permalink.